Young Martin wanted nothing more than to fly. Five years ago he launched Alpha One Airways. In 2005, the media were seduced by Martin's youthful entrepreneurialism and rag to riches appeal. But Baby Branson's first venture was a flop - and so was his second, Varsity Express. Young Martin wanted nothing more than to fly. Five years ago he launched Alpha One Airways. In 2005, the media were seduced by Martin’s youthful entrepreneurialism and rag to riches appeal. Here was a fresh faced kid who modelled himself on Richard Branson. Newspapers dubbed the Oxford lad Baby Branson. But Baby Branson’s first venture was a flop. Martin never had a plane, and Alpha One Airways never held the necessary Air Operator’s Certificate to undertake its own flights. But Britain loves a young entrepreneur, and Martin revelled in the publicity fuelled by his precocious ambition. Despite the fact that Alpha One had one false start after another, Martin was feted by the media – a fine example of a kid who chucked in his school education and was now making it big in the business world. Martin talked of racing a sports car around the world and raising vast sums for charity. There was mention of a possible career in television and rumours of a music business. Martin preached at universities on the virtues of young entrepreneurs, even though he had no viable business of any kind. In time the attention waned and Martin was forgotten. 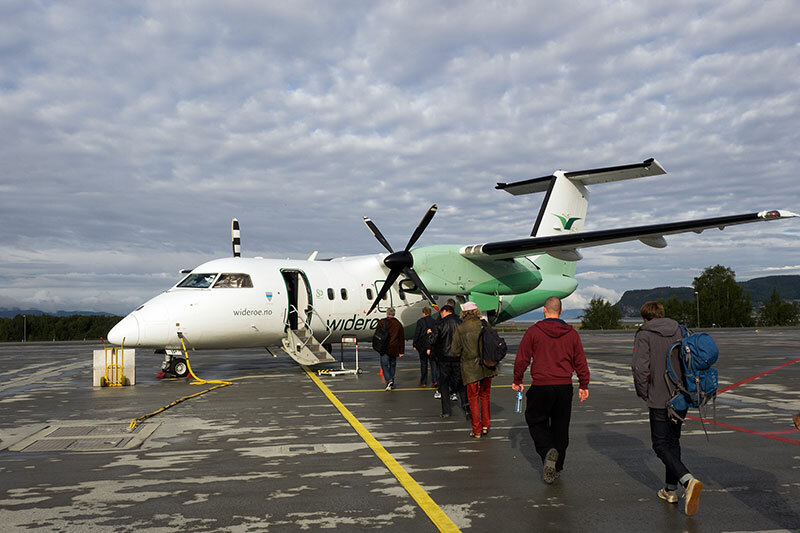 On 20 January this year, we received a press release from a PR company called Emerald Media, announcing the launch of a new small regional airline to be based at Oxford Airport. We just had a funny feeling that this might be Martin back again, and said as much in a note published that same day. Varsity Express promised a new era in domestic aviation, and a pushy PR company can work wonders – they plugged a new airline that would use Twitter and Facebook to link to a young clientele. The story was just too good for most papers to pass by. The Varsity story was a ray of youthful spirit in the grey of a long winter. There was no mention of Martin till a fortnight later, when a British newspaper revealed that Martin was the man behind Varsity. We voiced our scepticism over the new venture, wondering if the world had forgotten the Alpha One debacle. And we were roundly criticised by some who argued that young entrepreneurs always deserve support. So, ever willing to be corrected, we even raised a very small cheer when, defying all our expectations, Varsity Express took to the skies on 1 March. A week later Varsity was grounded. Martin’s ‘airline’ flew just eleven sectors. In practice, the flights were operated by a properly licensed airline, for Varsity – like Alpha One before – was just a little fiction dreamt up by Martin. He contracted a respectable small airline to fly on his behalf, but evidently without the start-up capital to pay that airline. Now there are allegations that the entire venture was a scam with the UK media poring over every detail of ‘Baby’s Branson’s bogus business’. Some dreams remain forever dreams. Martin’s dreams have brought a lot of grief to a lot of people. Thanks for your comment. Well, we guess many watchers of the aviation scene are asking the same question as you. Let&apos;s be clear that the allegations in the Sunday Times article yesterday are just that: allegations and no more. It will surely take time for the relevant authorities in the UK to ascertain if there has indeed been a case of pecuniary deception or some breach of the Companies Act. But Varsity Express is clearly no more. And Martin Halstead has presumably gone to ground - either in Oxford or perhaps at his favourite bolthole near Dresden in Saxony. Think its typical of the &apos;Dragons Den&apos; generation we live in where becoming the next millionaire depends not on your business idea but if you fit the media profile- a la Levi Roots. Its a shame in some ways because technically we need more ethical versions of the Martin Halsteads to inspire the next generation of young enterepreneurs. For an example of an ethical, successful young entrepreneur from a non travel background. look no further than Fraser Doherty who at 16 founded Super Jam and got a contract with Waitrose in the UK to supply his jams.